The halogen lighting and high performance dust collection system fitted to these models ensures maximun internal visibility which is the key to obtaining first class results. 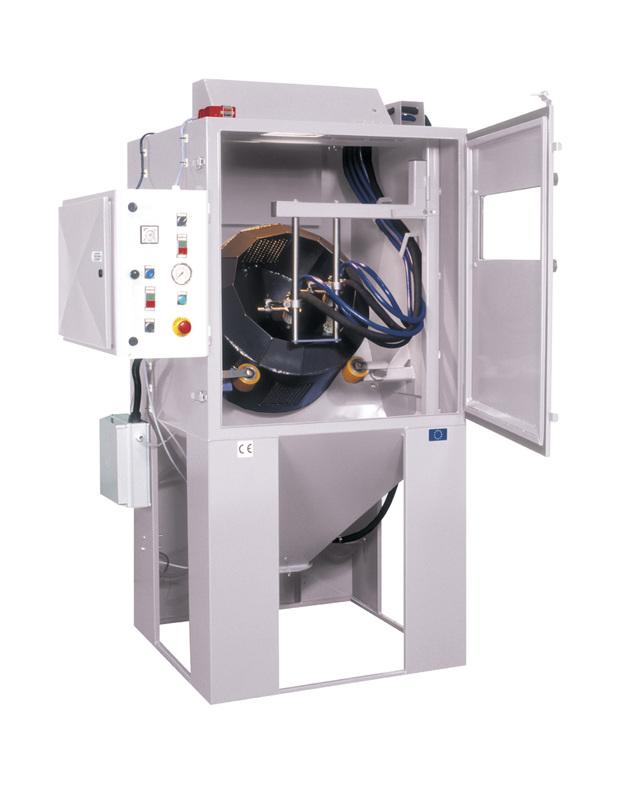 These cabinets are designed to provide quick, clean and efficient results across a wide range of blast cleaning and blast treatment applications. 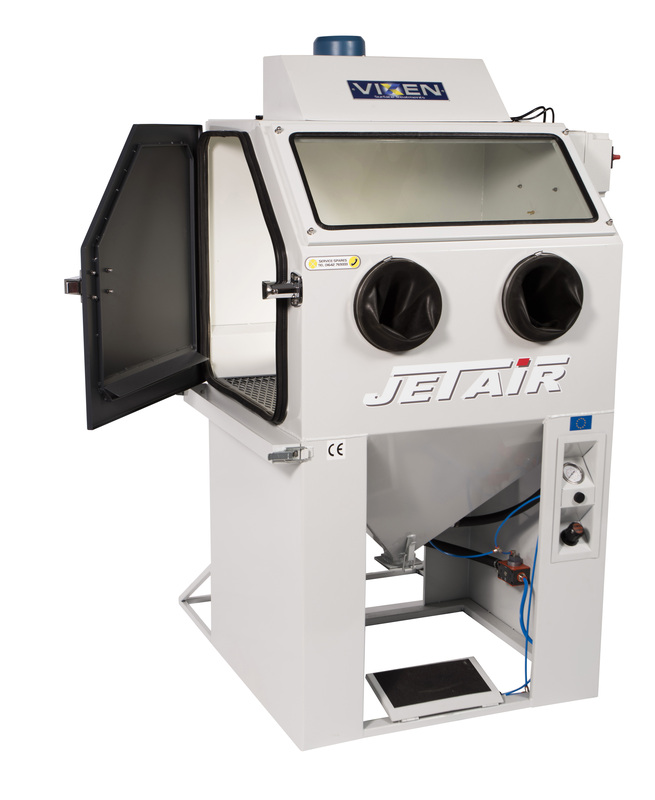 The Jetair range of dry blasting cabinets are available in four standard sizes: VM30, VM36, VM42 and VM55. 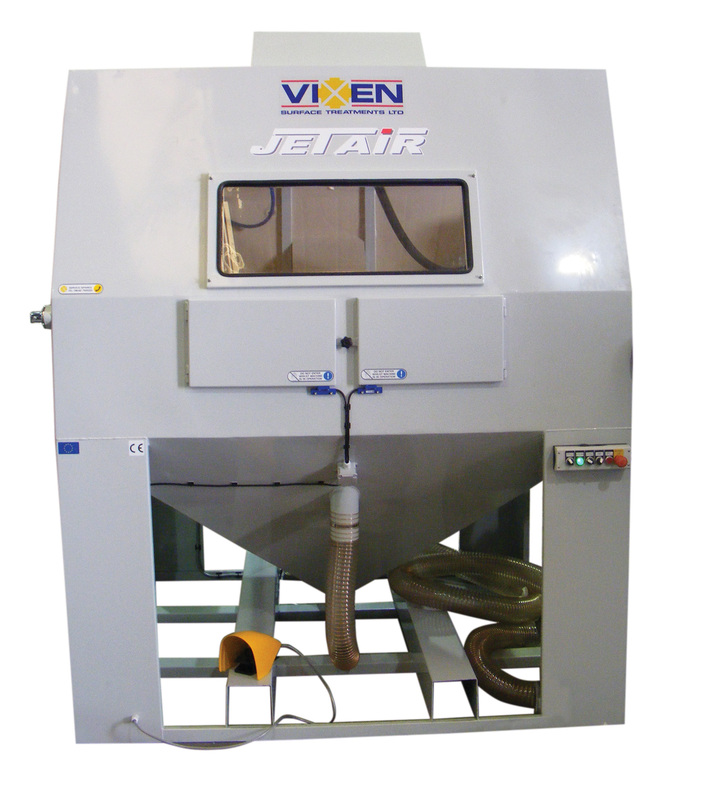 As well as this, Vixen manufactures the Tumbler and Automated range of Jetair machines which are modifed to make the blasting process easier for the operator. 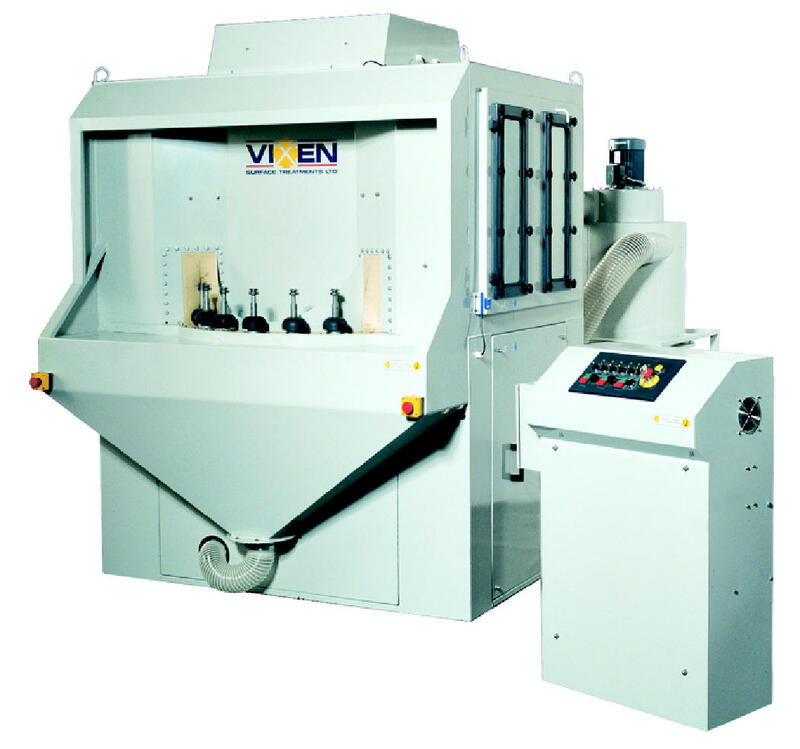 The Jetblast is an automatic airless machine which operates by revolving impellor blades which direct the abrasive upwards at a high velocity onto the component which is tumbling inside.